The holiday party season is just about to start, which means that sparkling wines are about to become an essential part of the wine toolkit. I personally think that bubblies should be a part of that toolkit all of the time. There are few categories of wines that match so easily with so many foods. I fully believe there is a sparkling wine to match every dinning and life occasion. Y’all know I love my Champers, but I definitely cannot afford that particular habit on the regular. Nor do I think it makes that much sense to pay Champagne prices for most party scenarios. Let’s be honest, in most such cases, even us wine geeks are not paying careful attention to the wine. You just need something delicious, refreshing, and easy while you circulate and make small talk. Save the Champs for when you can savor it. Note that I didn’t say you should save it for special occasions. By all means conjure up an occasion. Just save it for a moment when you can pay attention to it or share it with a few special people. 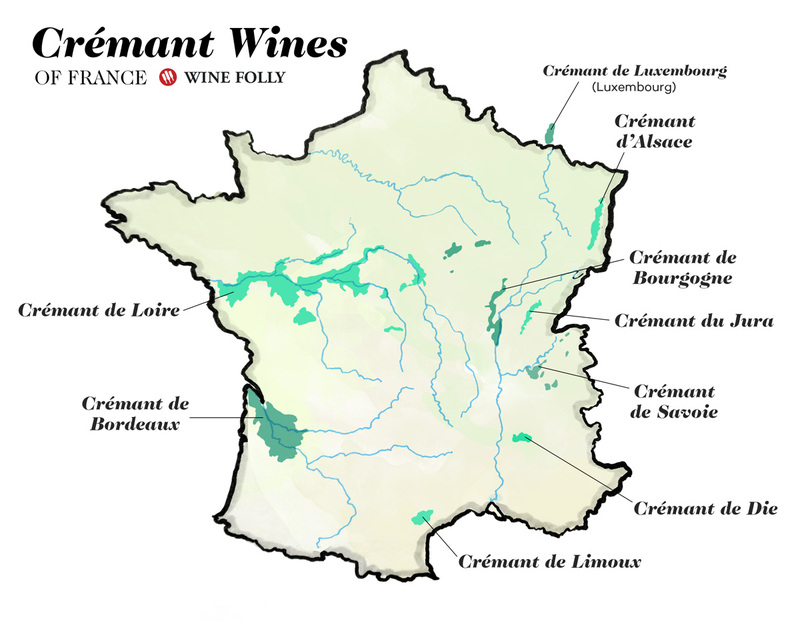 To keep things very simple, Crémants are wines from certain regions in France (and one spot in Luxembourg) that are made in the style of Champagne, that are not Champagne. 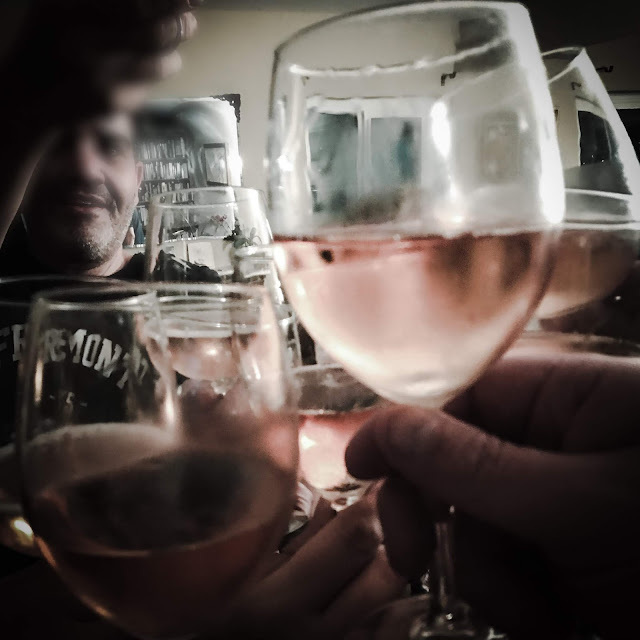 Warning–Wine Geek Rant: I try not to be a wine snob, but I do have one or two pet peeves. Calling all bubblies “Champagne,” disregarding where they are from or how they’re made, might be my biggest one. “Bubblies,” “fizz,” “sparklers,” and “sparkling wines” are all perfectly fine catchall terms. 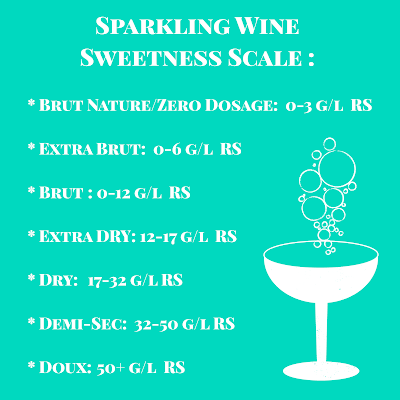 To get even more specific, sparkling wines that are made in the style of Champagne are called traditional method sparkling wines. Put simply, this means you have two fermentations–one makes the base wine, the second makes the bubbles, and that second fermentation must occur in the bottle. 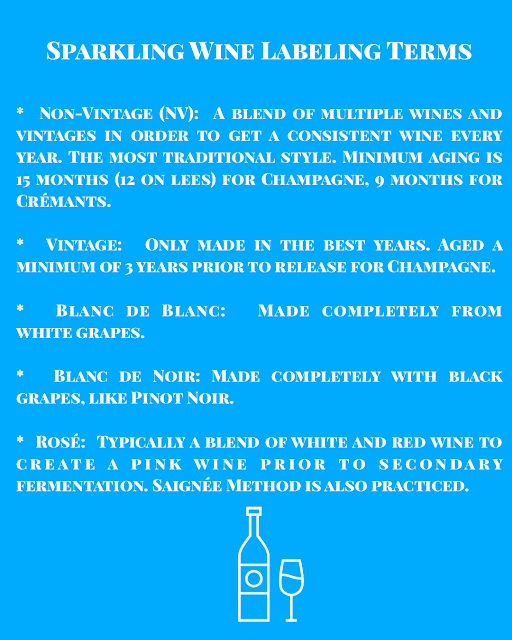 You might also see variations of the term on the label such as méthode traditionnelle, méthode classique, metodo classico, and méthode Champenoise (even though producers outside of Champagne are not technically supposed to use that last one anymore). Crémants are the subset that comes from these specific designated regions. There 8 in total: Crémant d'Alsace, Crémant de Bordeaux, Crémant de Die, Crémant du Jura, Crémant de Limoux, Crémant de Loire, Crémant de Bourgogne, Crémant de Savoie (the newest addition to French bunch), and Crémant de Luxembourg. While each of these regions will use their own grapes varieties, all have to follow regulations very similar to Champagne’s. For example, in all cases the grapes need to be hand-harvested. 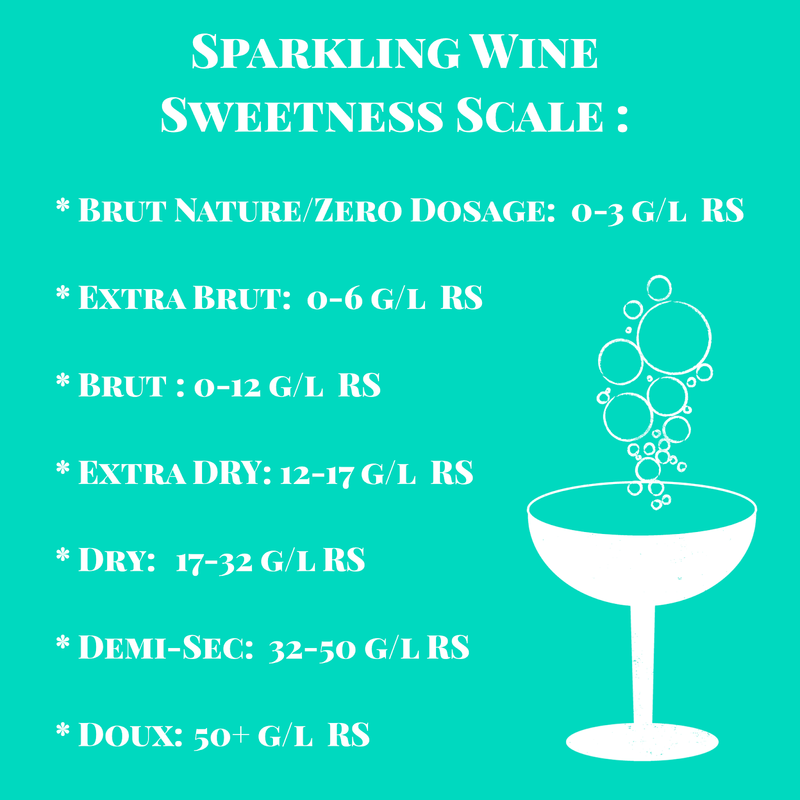 Requirements on how much time the wine spends aging on its lees (yeast cells left in the bottle after the 2nd fermentation), the thing responsible for giving traditional method wines their wonderful toasty flavors, are only slightly less stringent that in Champagne. The minimum requirement is 9 months for these regions, compared with 12 months on the lees (15 months total in bottle) for Champagne. That said that’s just a minimum. A lot of producers will choose to go above and beyond, as you’ll see in the wines here. You can also expect to see similar labeling terms on the bottle, as well as the same dry/sweet indicators on the bottle. Here’s a refresher on some of the labeling terms. The outshot of all of this technical talk is that Crémants are a great way to feed your Champagne tastes on a budget. Explore these as a part of your wine repertoire and you may even find a few you like just as much. I definitely make them a habit. Here are few I’ve had recently and how they fit into my personal slate. This wine is such a steal! (A definite House Wine.) 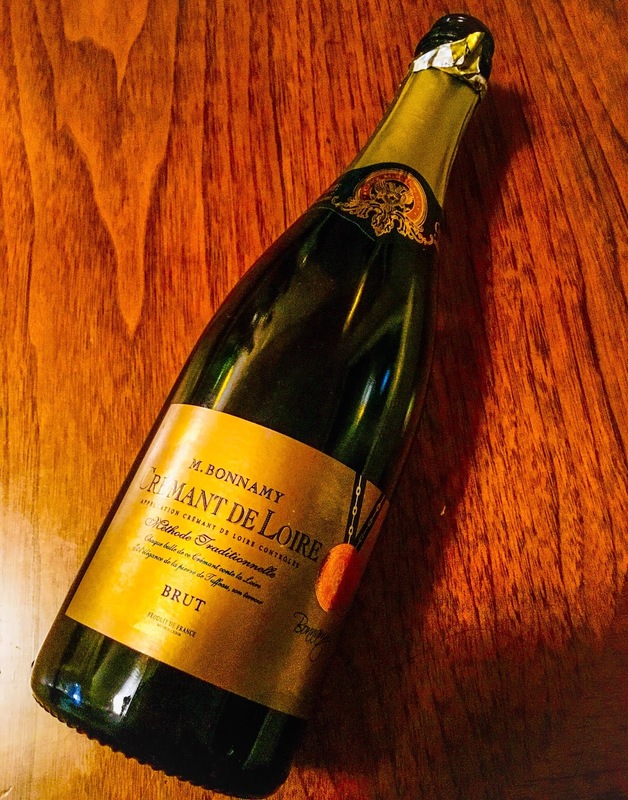 The M. Bonnamt Crémant de Loire Brut NV bright, easy, fruity, and delightful. I’m also a big fan of their rosé, which I previously mentioned here. The wine showed notes of beeswax, stone fruit, and citrus cream. On the palate it had tangy citrus notes, baking apples, plus a hint of honeysuckle. 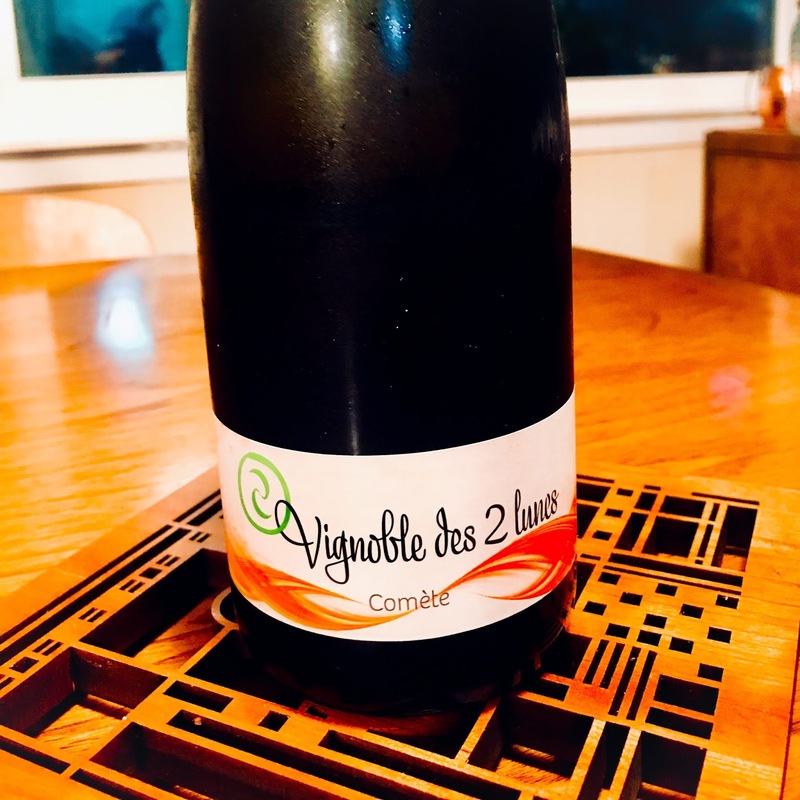 This wine comes a quality conscious co-op in the Loire Valley and the price point makes it great option for just about anything. 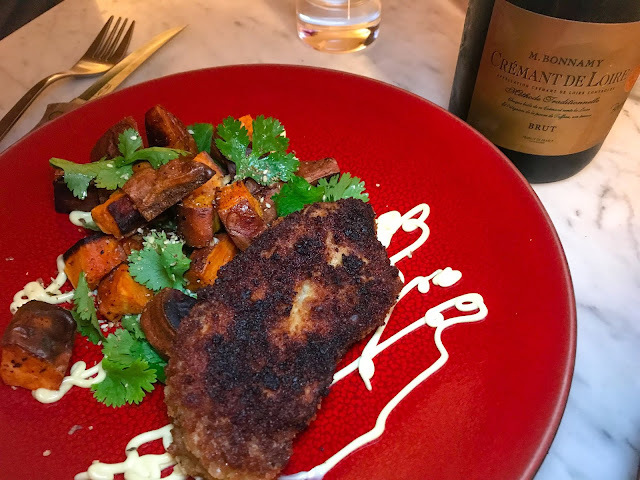 We had is most recently at hope on an average night with leftover crispy pork chops with roasted sweet potatoes seasoned with a little chili powder, dukah, parsley, and kewpie mayo. The rounded body on this bubbly allows it stand up easily to a pork chop, and while it is Brut, it has some juicy fruit to it, which allows it to pair well with the hint of sweetness in the sweet potatoes. 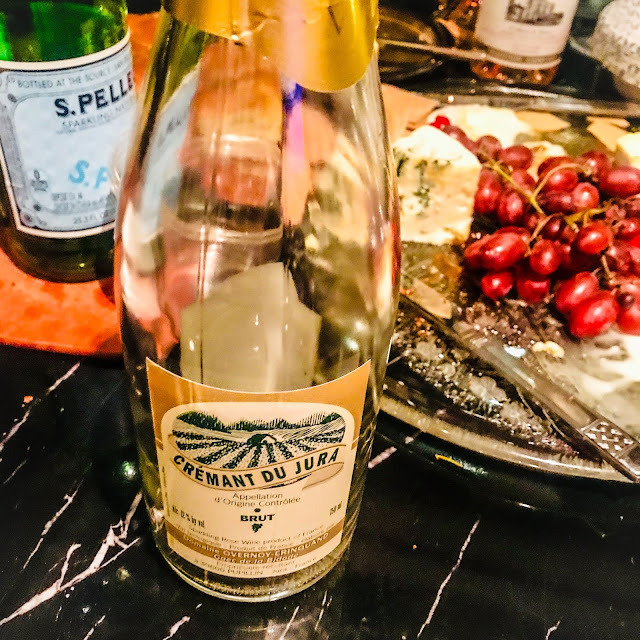 Just as the wallet friendly price makes this a great weeknight option, it would also make it an excellent selection for a party where you need to buy many bottles to keep the bubbly flowing for your guests. Soils: Tufa Limestone & some clay, from various vineyards throughout the Loire. Vinification: Manual harvesting, gentle pressing and low-temperature fermentation (18°C) to preserve the aromas. Second fermentation in the bottle by the Traditional Method after selection of the best juices. Aging: 12 months aging in bottle before disgorgement. The Jura is a bit of a wine geek darling. I think a Crémant de Jura could possibly rival a grower Champagne in wine geek point doled out for a bubbly. This little region is sandwiched between Burgundy and Switzerland, and it has both a lot of history and a lot of current innovation. The soils are ancient––the Jura actually lent its name to the Jurassic period––making it a terroir lover’s paradise. The Overnoy-Crinquand families have managed this domaine for decade and have farmed it organically from the beginning. They also have other farming operation, which include seventy cows to produce milk for the famous Comté cheese of the region. I brought this bottle to a Friendsgiving party where the hosts (our niece and her boyfriend) were also pretty wine geeky. This bottle is a little pricier (around $30) and I’ll admit that there was some selfish self-interest at play. Greg and I were arriving late to the party after I got off work, and I wanted to drink something good after a day on my feet. I knew my hosts might appreciate something different, and since we were arriving at the tail end of the party, I figured we’d get to open it and enjoy it, while not having to share with toooooo many other people. I know––super selfish. I regret nothing. The wine had lovely notes of raspberries and strawberries enclosed in layers of pastry with a dusty, minerally finish. It was super crisp and bone dry. I had this while sampling the cheese plate, which seems true to the spirit of the winery. Like I said, I regret nothing. Grape: Ploussard. (Also spelled Poulsard.) They use fruit from their younger vines to make this wine. Vintage: Although the vintage is not indicated on the label, all the juice for this wine come from a single harvest. Dosage: The wine is labeled as Brut, but there is actually no dosage added, really making it a brut zero. I recently spent quite a few posts exploring one of my personal favorite wine regions: Alsace. 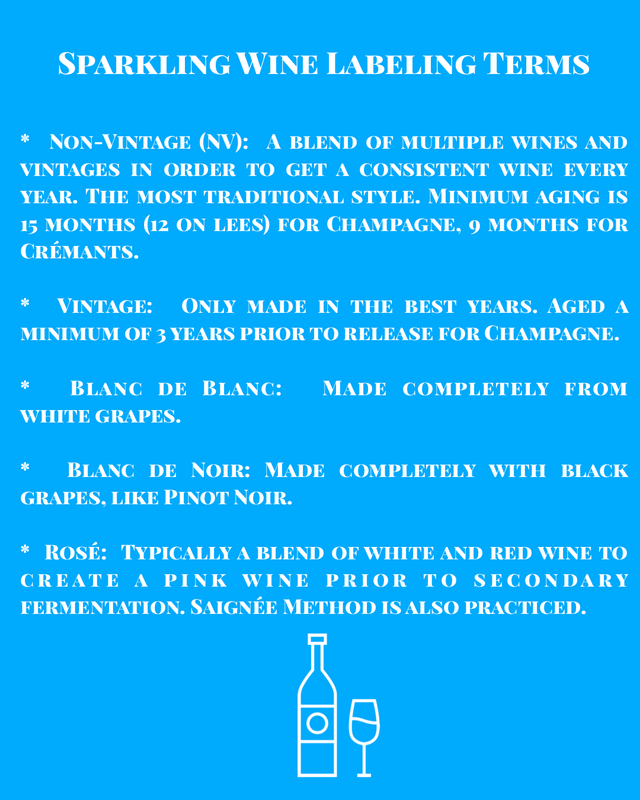 (Click here for an overview, as well as for an additional Crémant d'Alcace and pairing with tart flambée, aka Flammekueche, here.) 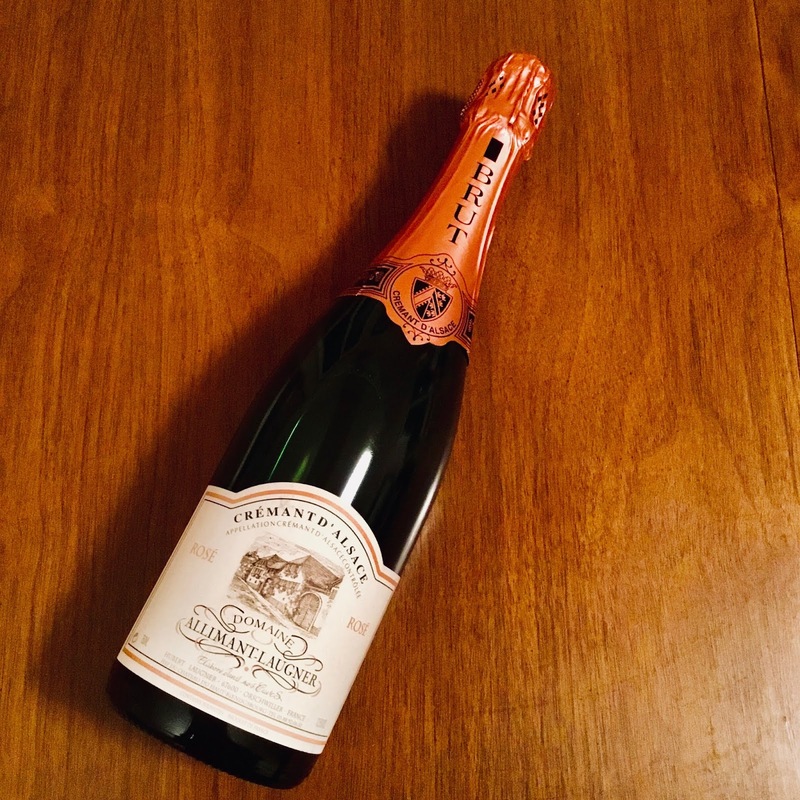 We’re going to return to it for a moment now, as Alsace makes over 50% of all French Crémant. This one comes from a family that has been making wine in the region for over 400 years! They’ve been farming it biodynamically since 2003. I opened this bottle to kick off a dinner party with a group of wine loving friends. Greg poured this as people arrived and enjoyed appetizers. This had notes of baked pears and gold apples, lemons, and slightly caramelized pastry. It was a lovely round quality to the palate. Winemaking: The first fermentation takes place in century-old wooden casks, followed by a second fermentation in bottle. The wine is aged on its fine lees for a minimum of 18 months before disgorging. I’m dropping in a few extra quickie doses of Crémant d'Alsace after the fact, since a few other bottles recently came my way. My friend Marc came to town and stayed with for a night. We decided to order in Burmese food. 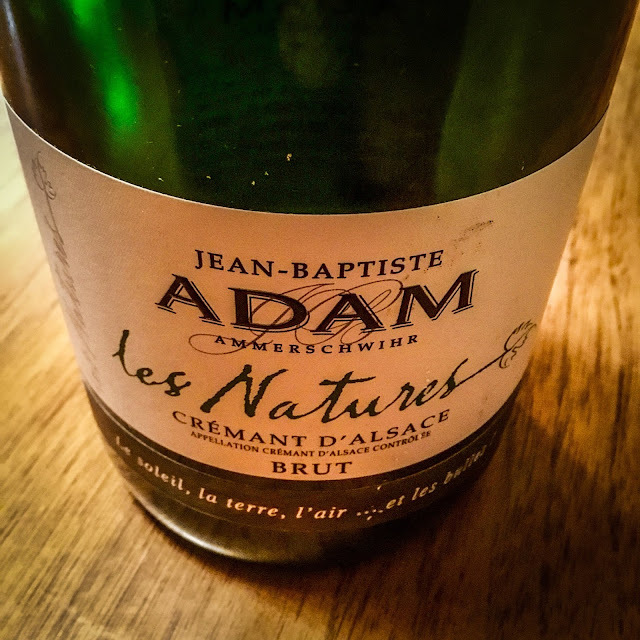 We popped open a bottle of Vignoble des 2 Lunes Crémant d’Alsace Blanc de Blancs Comète NV (sample) and caught up while we waited for the food to arrive. I think this was a much nicer way to wait. The wine comes from sisters Amelie and Cecile Buecher. Their family has been making wine for seven generations, but they are bringing their own take on winemaking to the Domaine. They stopped use of pesticides in 1997, and they were certified biodynamic by Demeter in 2007. This wine had notes of really bright, ripe, happy, juicy strawberries and raspberries with a touch of cream, before moving into a clean finish. It’s 100% Pinot Noir and has an SRP of $25. This past week I also taught a combo cooking and wine pairing class on sparkling wines. 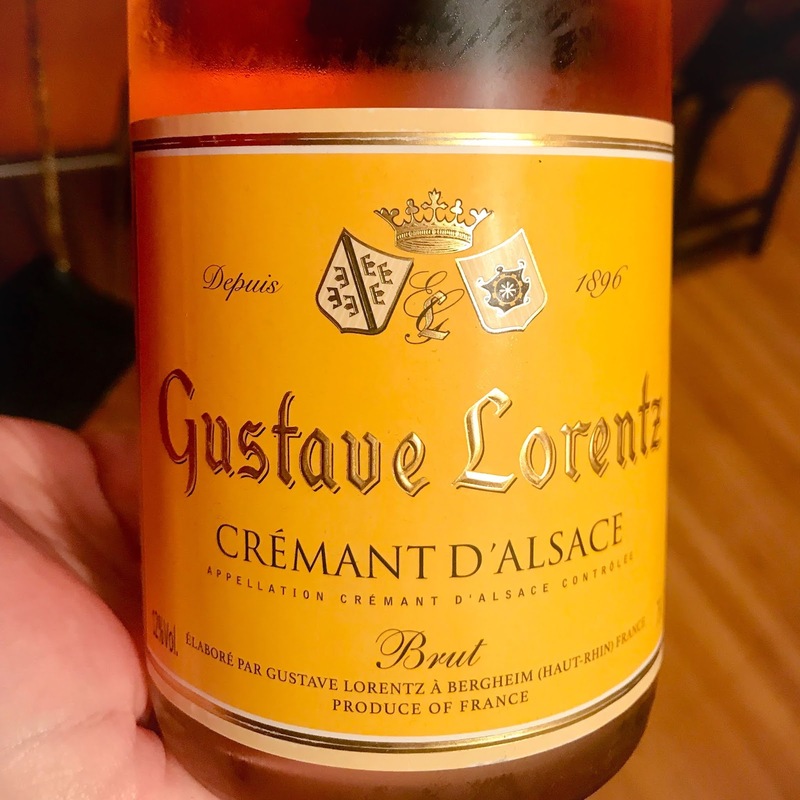 As my example for a traditional method sparkling wine, I just happened to use another Crémant from Alsace. I poured the Domaine Allimant Laugner Crémant NV (100% Pinot Noir. Average price $20). This wine also comes from a family that has been farming growing wine in the region for a very long time–11 generations in this case. It had lovely notes of tart strawberries with a clean, mineral finish. 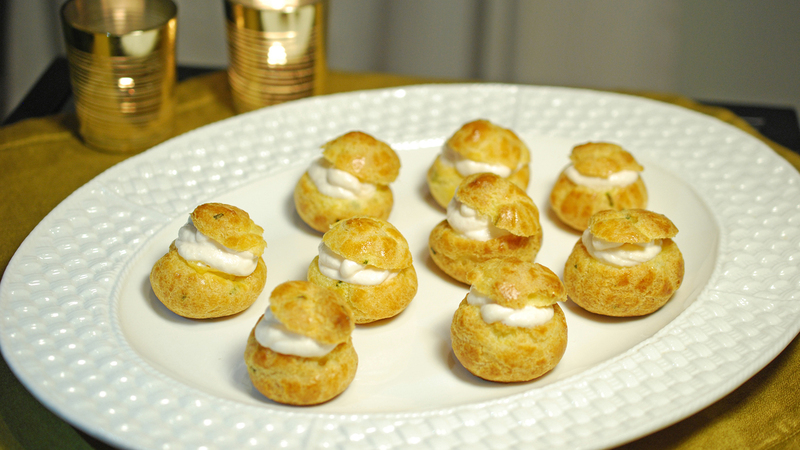 We paired this with my Wine Spectator 8 & 20 recipe for Salmon and Goat Cheese Gougères. A delicious match! I can't wait to explore more Crémant wines from other regions. I will be on the lookout for a Crémant du Jura! So good! Definitely worth exploring! Wow! Looks and sound like 4 delightful Cremant Nicole!Is the Bonnamy sold at Bay Grape? Yes! We usually have both the white and the rosé. Great lineup! Especially love the crémant from Jura! Sparkling wine on an everyday budget? Yes to that! 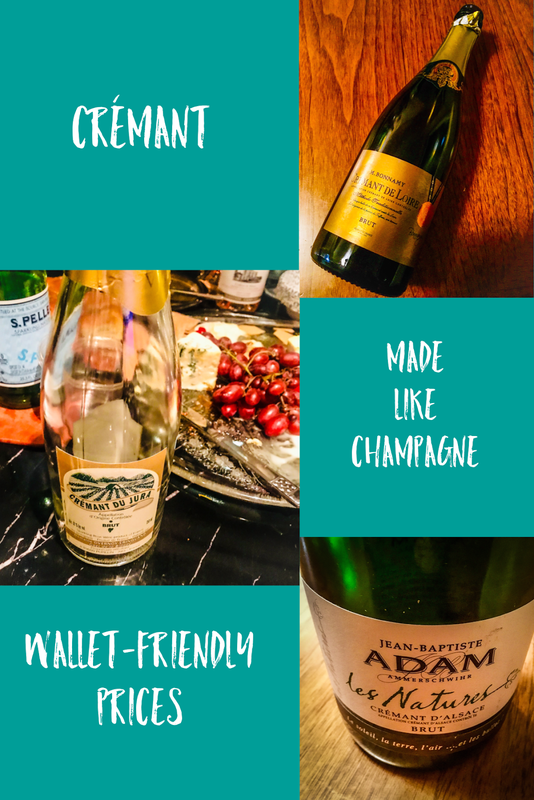 Cremant can be such great value - especially for large holiday gatherings when you want a taste of something special. I agree about the term "Champagne" being used as a catch all for sparkling wine. Ugh! I wouldn't tend to think of bubbly with pork chops but that pairing looks good! I had the opportunity to interview Nicolas from Domaine Allimant-Laugner. He's a young and smart man, and he's like, the 11th generation. Such a cool producer! I actually came across your post when I was prepping for the class!